Libya - IOM yesterday (23/1) helped 46 stranded Bangladeshi male migrants return home to Bangladesh from Misratah, Libya. 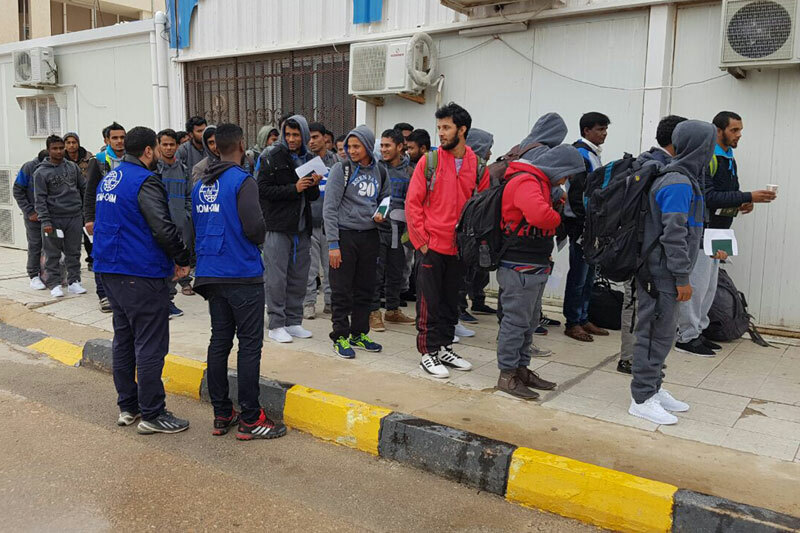 The repatriation – the first such operation out of Misratah since 2014 due to security concerns – was carried out in close coordination with the Bangladeshi Embassy and Krareem Detention Centre in Misratah. IOM interviewed the migrants before departure and provided medical check-ups to ensure they were fit to travel. All the migrants also received clothes and shoes, as part of IOM’s pre-departure assistance. In Dhaka, IOM will help all the migrants with onward travel to their homes. All 46 will also be eligible for IOM reintegration support, giving them the opportunity to start a business or continue their education. IOM will also pay the cost of any medical treatment that they need as a consequence of their treatment in Libya. Farhan, 26, left Bangladesh for Libya to find work several years ago. He and his family raised the USD 4,000 needed for the journey by selling belongings and borrowing from acquaintances. He was promised a visa on arrival, but instead of starting a new job in Tripoli as planned, he was taken to Misratah and thrown into a detention centre. IOM’s voluntary return assistance was the only way he could to leave Libya and he was glad to return to his family. The return assistance was made possible with funding from the United Kingdom’s Foreign and Commonwealth Office and falls under IOM’s return assistance programme. In 2016, IOM Libya helped 2,777 stranded migrants return to their countries of origin, of whom 522 were eligible for reintegration assistance.